Come to DoopChat with confidence. We want to make sure that you are 100% happy with your choice. If you have any technical or sales queries, do not hesitate to contact us. However, if you feel the service is not the best fit for your requirements and you attempted to resolve issues with our support staff, we want to make things right. 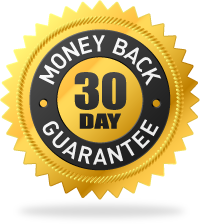 Your investment is fully-backed by a 100% satisfaction guarantee for the first 30 days after purchase. Give DoopChat a try. Enjoy boosting more engagement with your customers inside the Facebook Messenger. In the unlikely event you’re not happy with DoopChat, just let us know within 30 days of purchase. We’ll cheerfully give you a full refund on your investment. Q: Do I need to know programming to use DoopChat? A: Using this software is very intuitive. If you can manage your fan pages, you can easily use DoopChat to set messages for your fans. Will DoopChat for me if I use Windows or Mac? Q: Can I use DoopChat with many different fan pages? A: Yes. You can use for many different fan pages. Q: Can I use DoopChat with multiple Facebook accounts?